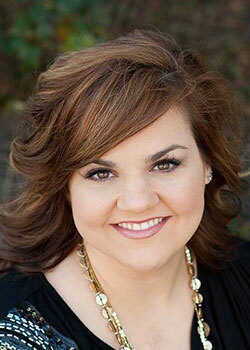 Abby Johnson began as a volunteer for Planned Parenthood, eager to help and defend women in crisis. In eight years, she worked her way up to clinic director, earning “Employee of the Year” in 2008. However, after she assisted with an ultrasound-guided abortion of a 13-week-old, her eyes were opened to the many lies that keep the abortion industry running. Within a few short weeks, she quit her position and has since devoted her energies to pro-life ministry. In 2013, she founded And Then There Were None, a nonprofit that has helped more than 430 abortion workers leave their jobs. In advance of her upcoming presentations in the Diocese of Fort Worth in September and October, Johnson spoke to the North Texas Catholic about raising pro-life kids, living in a wounded culture, and building a pro-family community. Johnson is encouraged by the passion of young pro-life activists. Because science and technology have advanced, this generation rejects the pro-choice argument that abortion is just removing tissue. “Every kid that’s walking around today, the first picture they have of themselves is an ultrasound. That’s very powerful. . . . Most of these kids have seen their brothers and sisters in the womb before birth, so it’s very real to them,” explained Johnson. A mother of seven, Johnson encourages parents to talk with their children in an age-appropriate way about abortion, to pray with them for an end to abortion, and to include them in pro-life activities such as a rally for life or a prayer vigil at an abortion clinic. She advised, “They understand more than we think they do. . . . You are not doing them any favors by keeping silent on this issue. Because the reality is that we live in very different times, and kids are hearing about abortion earlier and earlier. A 2018 Gallup poll shows Americans split evenly between pro-life and pro-choice. What about Christians who say they personally oppose abortion, but support legal abortion in most circumstances? “I think so much in Christianity has been perverted to say we don’t judge. . . . And then we have some churches that have fallen into that. It’s all about feeling good and the prosperity gospel and how to get rich. Not this is a sin and this is not, and if you’ve committed that sin, here’s how you find freedom, here’s how you find forgiveness,” said Johnson. Johnson declared the argument “the government can’t tell me what to do with my body” is “failed logic,” since the government tells us to wear seatbelts, among hundreds of other regulations. Another reason Johnson thinks people are reluctant to oppose abortion is that so many people have been affected. Nearly one in four women have had an abortion, according to the National Institute of Health. Johnson was one of those women. In the nine years she’s been working in the pro-life movement, Johnson has seen two positive changes. But more importantly, the respect life cause is transitioning from being a reactive, crisis-based movement into becoming a more proactive, community-building culture. “How can we reach these women before the crisis pregnancy exists? We need to be disciples in her life. It’s about discipleship and mentorship and transformation,” Johnson said. Johnson tells her dramatic story in her book UnPlanned, an insightful, compassionate account of her view from both sides of the abortion divide. She will headline the Respect Life Night on Sept. 28 at Holy Family Parish in Fort Worth. The event is free, but tickets are required and available at AbbyJohnson2018.eventbrite.com. She will also speak at Good Shepherd Parish in Colleyville on Oct. 28. More information can be found at gscc.net/abbyjohnson.